I just came back from a dive trip in Indonesia and a friend asked if I was in Bandung. She wanted to know if it is worth a visit. Well, I have been in Bandung, although not recently. I visited Bandung in 2009 as part of a multi-city visit around Indonesia. Here are my top recommendation of top things to do in Bandung. Bandung is a popular weekend getaway destination of folks from Jakarta. It is only 2-3 hours ride by car. Bandung is situated on a plateau and surrounded by mountains, strawberry fields, tea plantations, and because of this, the climate is a bit cooler than Jakarta. Perfect for chill-out weekend. 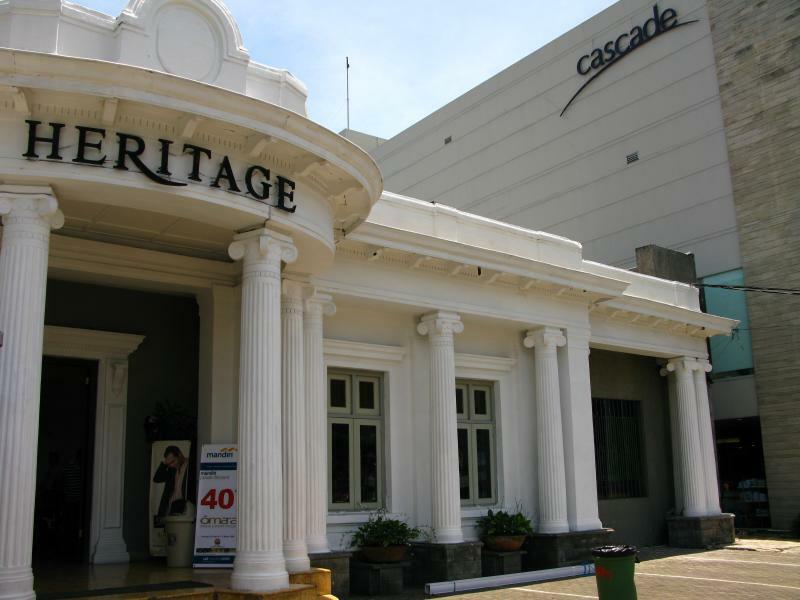 A stroll around Braga Street brings you back in time because of the old colonial buildings that are quite well preserved. Braga Street got the nickname Paris van Java (Paris of Java) in the 20s-30s because Dutch socialites strolled the street to do their shopping in luxury shops and sip their espresso in chic cafes. Today, the street is still lined with small shops and cafe. Visit Canary Bakery & Cafe, one of the oldest cafe around to have a glimpse of the past. I recommend visiting the Museum of the Asian Afrikan Conference located around Braga district. It will be an interesting stop and it is free. 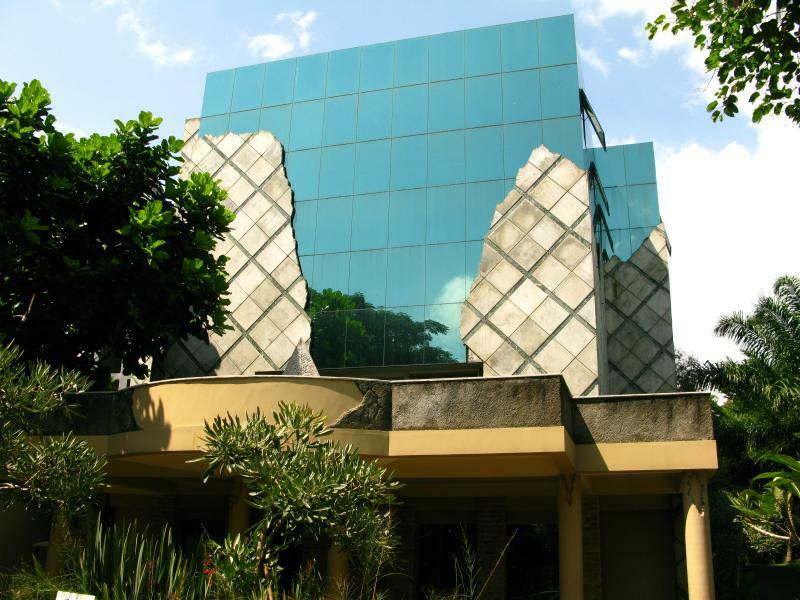 The museum was established to commemorate the conference held by Indonesia here in 1955 to inspire colonised nations, mainly in Asia and Africa, to strive for their freedom. It was very enlightening to know about the mission, preparation, the efforts and the impact of this conference. Cihanpelas in Bandung is known as the Jean Street, and you probably have guessed what they have a plenty of here. On the stretch of the main street, you find row of shops with giant signages selling clothes, mainly jeans. These are knock-offs but locals claim they’re of good quality and probably locally made. Even if they’re not your style, it is interesting to see… but you probably would pass by it anyway. You can take lunch here for they have a lot of restaurants and cafe as well. 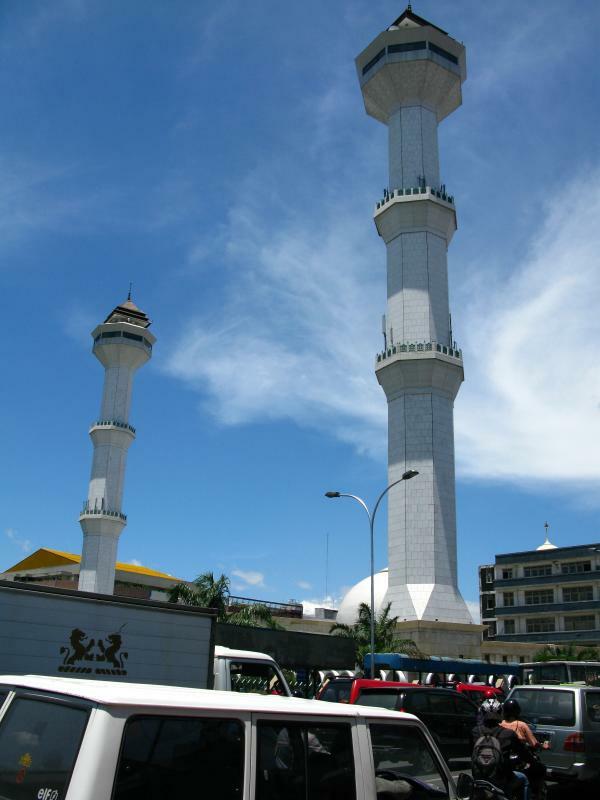 The Grand Mosque of Bandung or Masjid Raya is one of the biggest in Indonesia. It is possible to take a tour inside and go up the tower to see the view from the top. I did not do this but appreciated the grand structure from the outside. The Grand Mosque is located at the end of Alun-alun. This is the downtow of Bandung where you find the post office and hawker food stalls. This is also the area of hotels where you find the best room to stay. A new football field has been installed recently near the where young people can play safely. 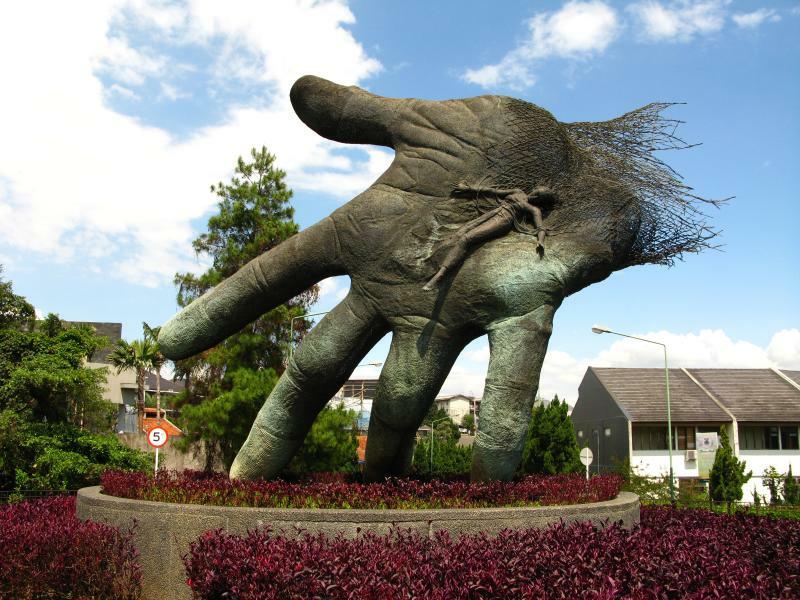 The Nu Art Sculpture Park is an amazing place and should definitely be on your list of things to do in Bandung. 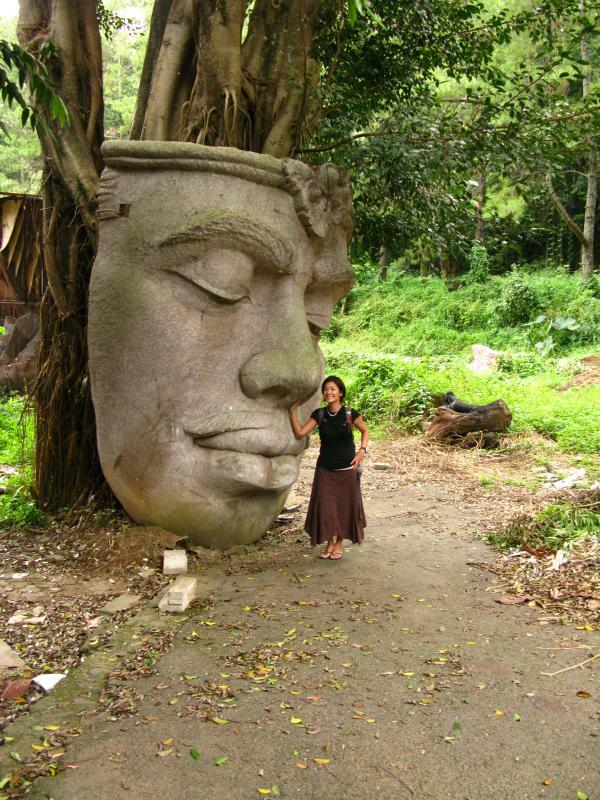 It’s a 3,000 hectare of land with sculptures scattered around the property. 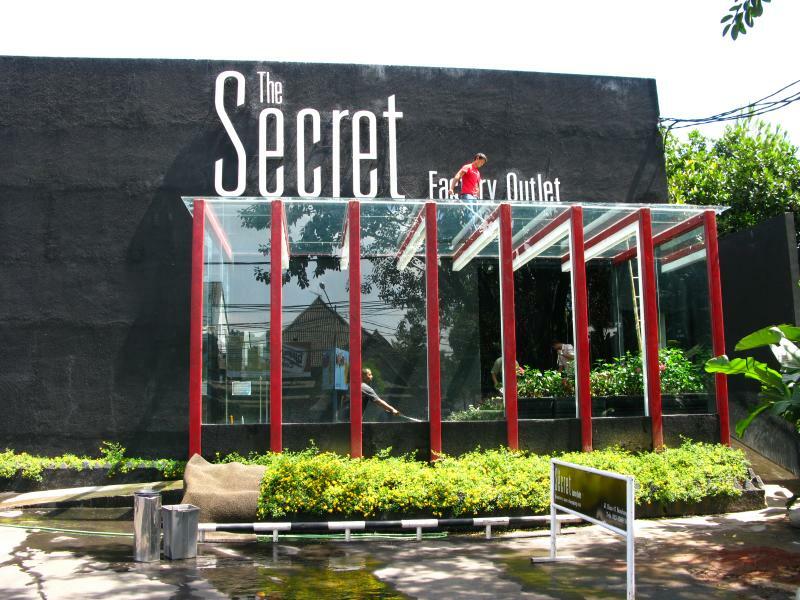 There is an indoor gallery housed inside a contemporary style building. This property is owned by the artist Nyoman Nuarta. This reminds me of BenCab Museum in Baguio. Mr. Nuarta is Bali born but grew up in Bandung which explains many of his Bali inspired work. I love his paintings too. He owns this place, but the gallery keeper told me Mr. Nuarta didn’t acquire his wealth overnight. 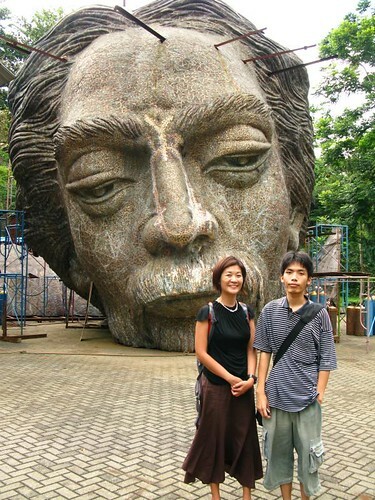 He did a lot of huge steel monuments scattered around Indonesia. One of the nicest experience here is that we get to tour his workshop. It’s amazing to be face to face with art in progress. This is where the major sculptures were being made in pieces and shipped to the final destinations for installation. 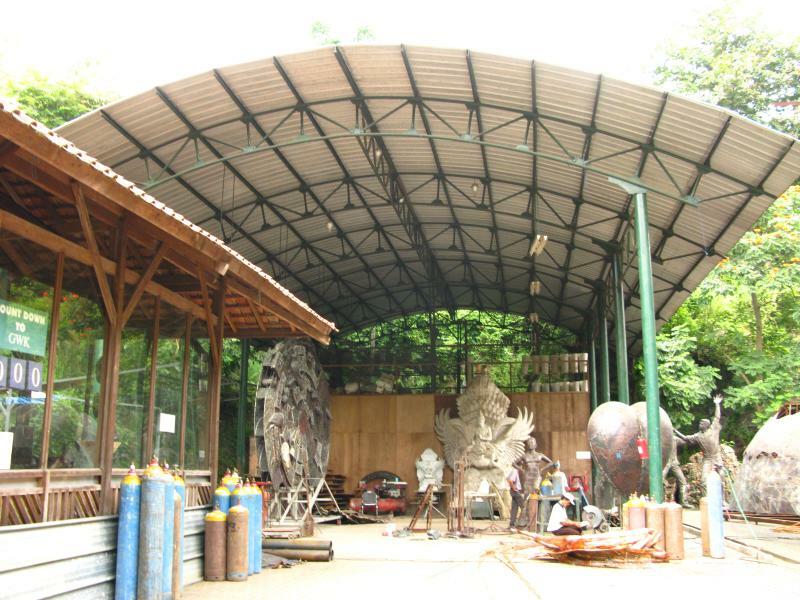 So the big face in the photo will be the actual Noah statue and the mold for the Wisnu in Jimbara is the other big face. The actual is made of plastic resin.